She was kindly sent one of the new collection babies from tiny treasures and I knew she would be in love with it as soon as she saw it . They also come with a hospital tag and birth certificate which is so cute! and we have put them on her bedroom shelf to keep safe. 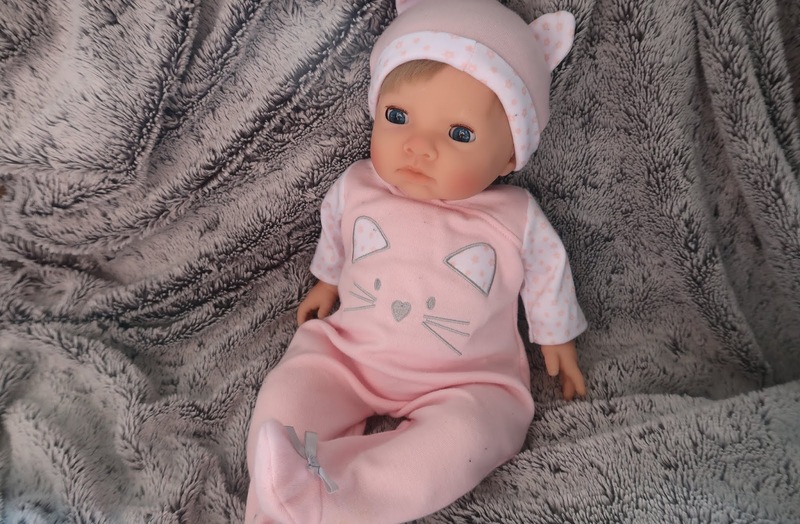 Nila got the baby girl one who comes dressed in a pink baby sleepsuit and cute little hat. She is the softest baby doll we have ever come across , resembling a newborn to the finest!. It’s sleepy looking eyes and soft newborn like hair, makes it even more adorable. The tiny treasure dolls also weigh the same as what a newborn would which makes them so easy to carry around. Especially for toddlers - Nila struggles with some of her babas as some are quite heavy but not the tiny treasure doll. 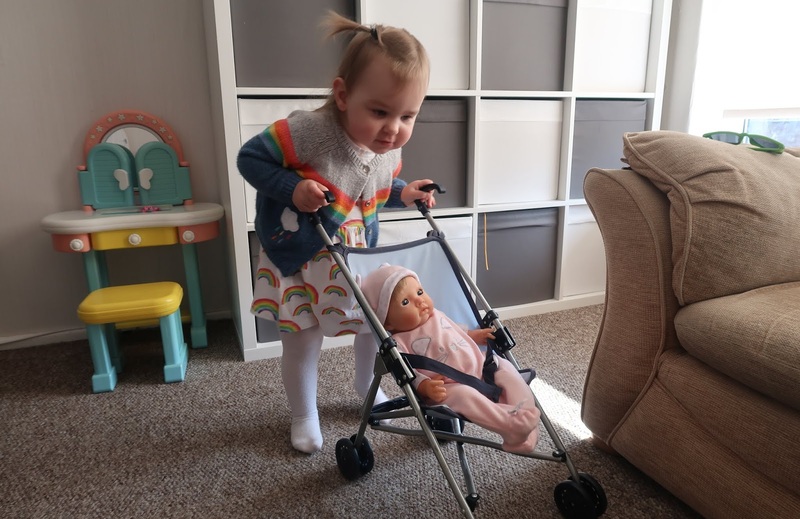 She now goes everywhere with her- even in her stroller and out into the garden for some fresh air , she absolutely loves her!. If she is feeling sleepy then lay her down and she will close her eyes, sit her up and she wakes . Nila loves waking her up and saying ‘shsss’ if she is sleeping . She wakes her up with a big kiss. The range comes with so many different accessories to add to your collection too. A beautiful cot to put your baby to sleep in, or a changing table to get them ready on . 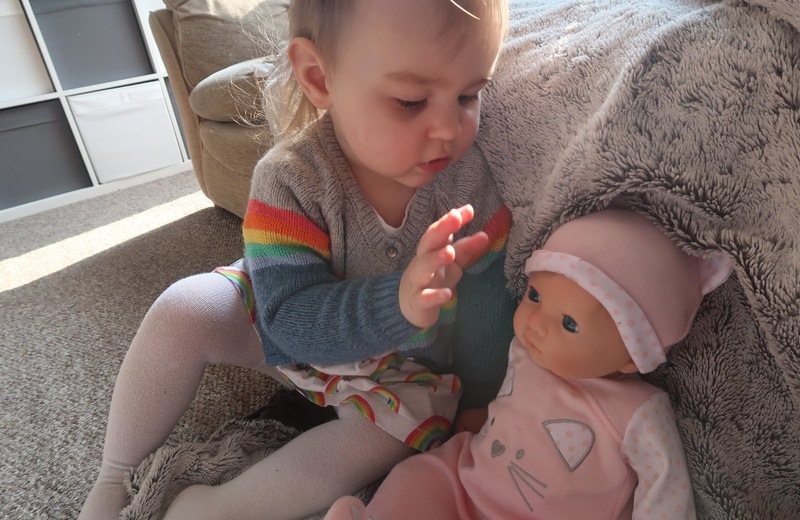 So many different outfits and toys- your little one will have endless imaginative play with their little tiny treasure . The tiny treasure range is exclusive to Argos and can be purchased here along with all the different accessories . They tiny treasure dolls retail at £20. Oh these are super cute! My girls love their dolls, I will have to watch out for these! Ah, this is so cute! What a lovely doll - I love her eyes, they look more real somehow. What a cute baby doll. My niece loves dolls like this. My niece loves baby dolls and pushing their prams. I wouldn’t be surprised if she had one of these ones. Mind you, I can’t tell the difference they all look the same to me. 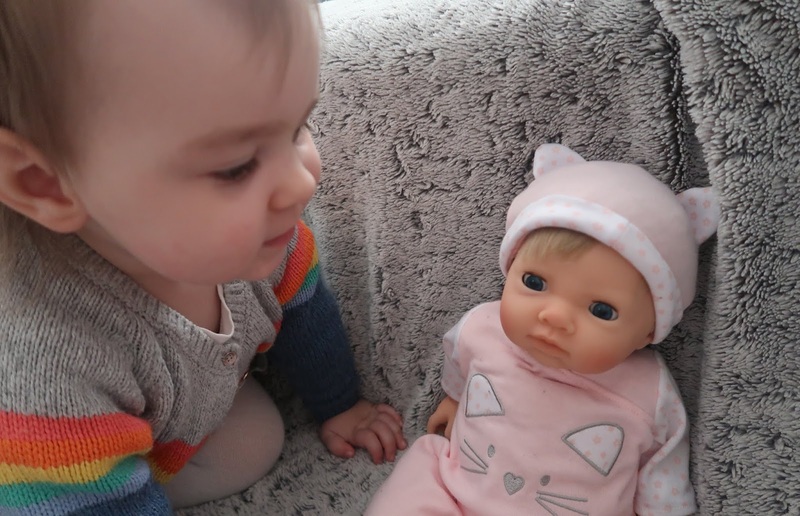 What a cute baby doll and it scares me how they looks more and more real and the things they can do too.